As per the US Government, Canadians have the highest diamond engagement ring acquisition rate in the world at 85 percent. The jewelry market is broken into two retail categories; fine jewelry (with precious metals and gems) and costume jewelry. The Canadian jewelry market has hit or exceeded projected growth expectations for the previous three years. Primary purchasers of both fine and costume jewelry are females between the ages of 20 and 50. In 2006, over US$2 billion was spent by Canadian consumers on jewelry. The jewelry industry uses computer-aided design (CAD) and computer aided modeling (CAM) is the use of computer technology to aid in the design and especially the drafting (technical drawing and engineering drawing) of a part or product. Current CAD/CAM software systems are capable to present 3D solid and surface models. Modern CAD/CAM packages can also frequently allow rotations in three dimensions, allowing viewing of a designed object from any desired angle, even from the inside looking out. CAD/CAM is used in the model design of complex creations of jewelry as well as in simple patterns. We offer reduced time and cost for designers and their clients with state-of-the-art technology. 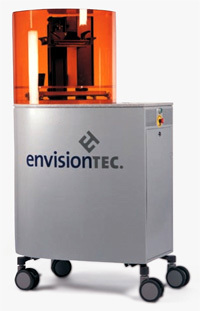 Our machines build wax models, such as Jewelry Models, from computer files using thermoplastics that are perfect components for investment casting. See some of the machinery here. Our technicians have been in the jewelry business since 1983, operating in various branches of the industry. We are some of the finest jewelry manufacturers and jewelers in the jewelry industry. The jewelry industry is spread all over the world and has gone from being a small part of the world economy to being a driving force. Precious jewellery is a status symbol that individuals in emerging countries are eager to acquire.